Weston & Sampson was the prime consultant for a programming/feasibility study and design and construction services for reconstruction / expansion of a circa 1970 existing, 18,000 square-foot pre-engineered metal building at Boston Public Works’ Central Maintenance Campus on Frontage Road, which is sandwiched between MBTA / AMTRAK rail lines and the elevated Fitzgerald Central Artery. The structure, which is in a severe state of disrepair, is used to store DPW snow-fighting trucks. 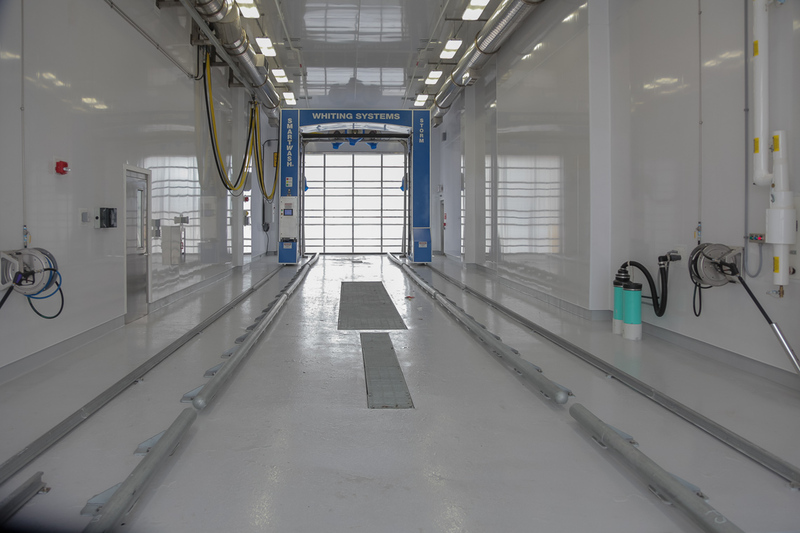 The building also houses the original, inoperative vehicle washing equipment. 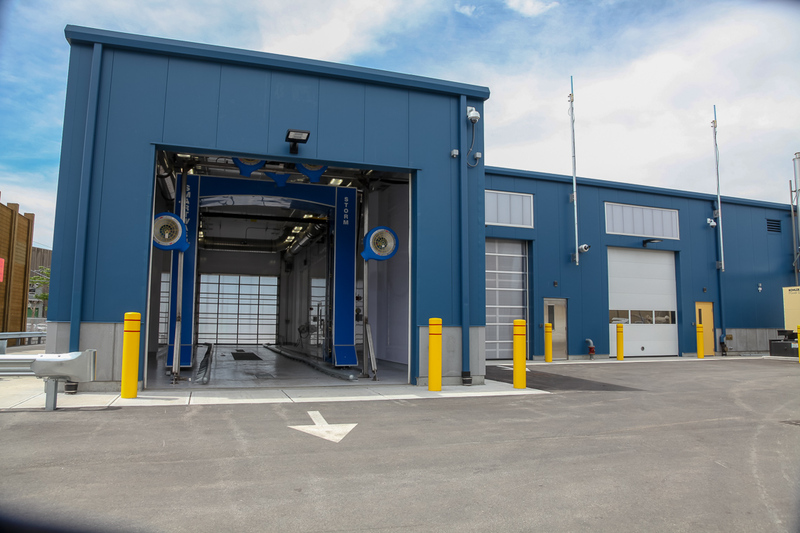 The design team was initially charged with the selection of new vehicle wash equipment suitable for cleaning the city’s fleet of snow fighters, and refurbishment of the existing drains and sewer connections. 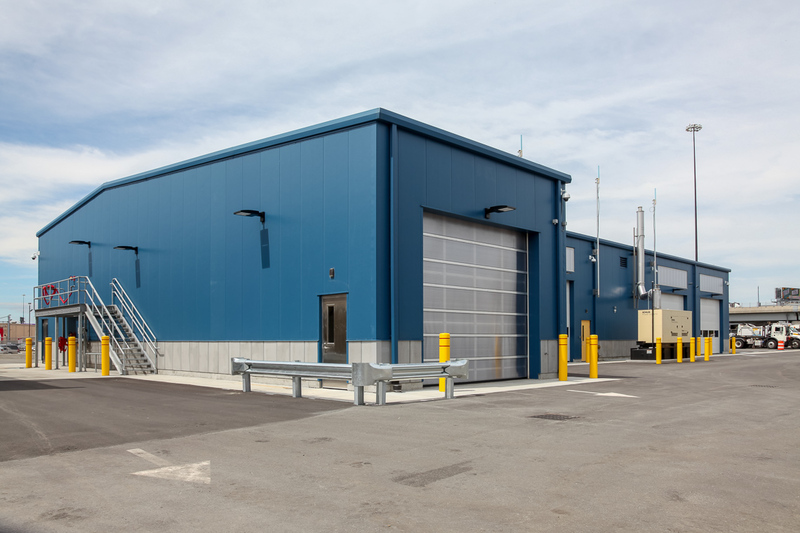 It quickly became apparent that equipment required to adequately clean these salt / grime covered trucks was too large to fit in the existing building. 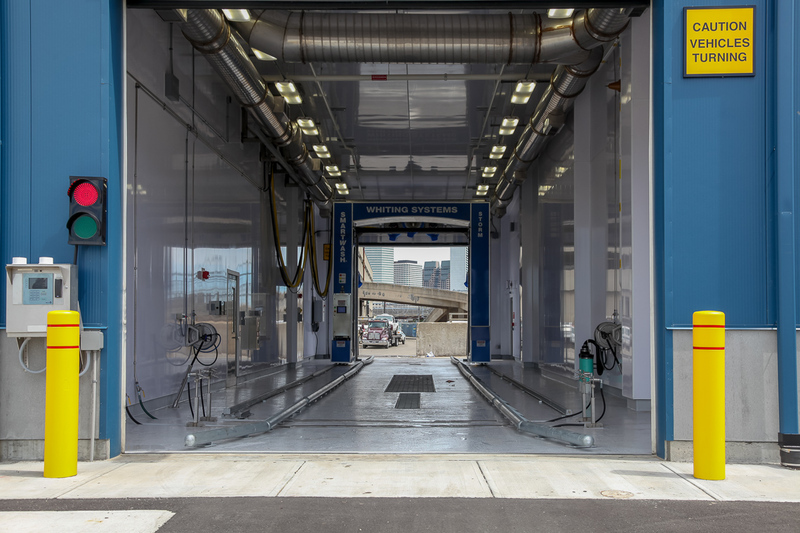 As soon as the design team investigated the turning radius requirement of these vehicles, it also became obvious that the wash bays needed to be located in the opposite end of the building from where the original equipment had been installed. Once consensus with DPW had been reached, the design team prepared a Preliminary Design package to allow the city to re-scope the project. 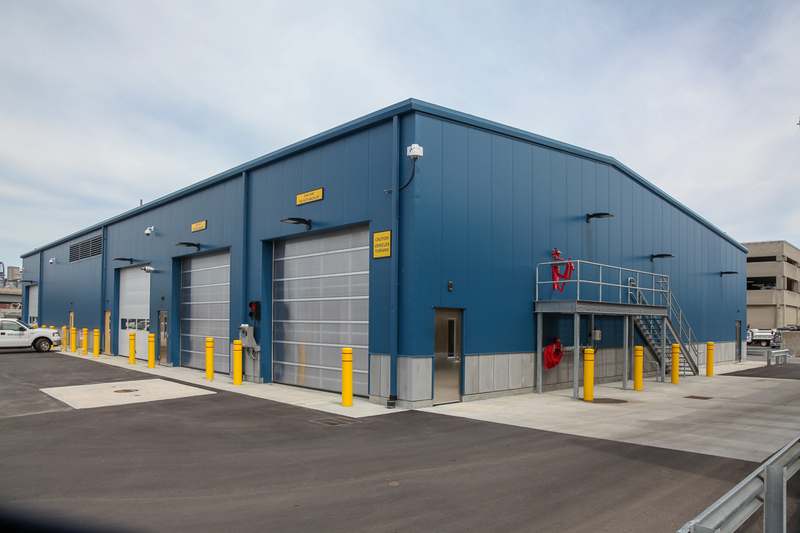 The design team was then charged with a comparative analysis of options for addressing existing building deterioration, correction of existing building code compliance issues, and responding to a number of “Best Practice” inadequacies. After the alternatives were presented, with corresponding construction costs, the city decided to rescope the project to have the existing building demolished down to the concrete slab, and a new pre-engineered metal building erected on the existing slab, with an addition in one location to enclose the automatic salt truck wash equipment. 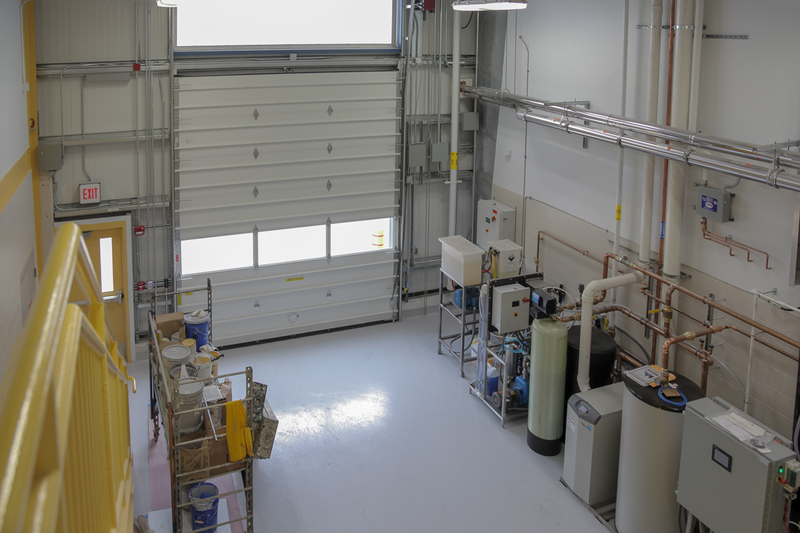 The construction documents prepared provided for one automatic salt truck wash bay, one manual vehicle wash bay, one bay to house wash equipment and brine making equipment, support bays to house building services equipment, and vehicle storage bays.